A weekly at home treatment mask that exfoliates, detoxifies and removes impurities. This mask gently exfoliates, detoxifies and removes impurities, leaving skin smooth, clear and bright. This mask can be used as an at-home treatment or incorporated into professional treatments for additional smoothing and detoxifying. All skin types will benefit from this mask, with the exception of hypersensitive skin. Apply a thin, even layer over entire face (neck and chest also recommended). Leave on three to five minutes. 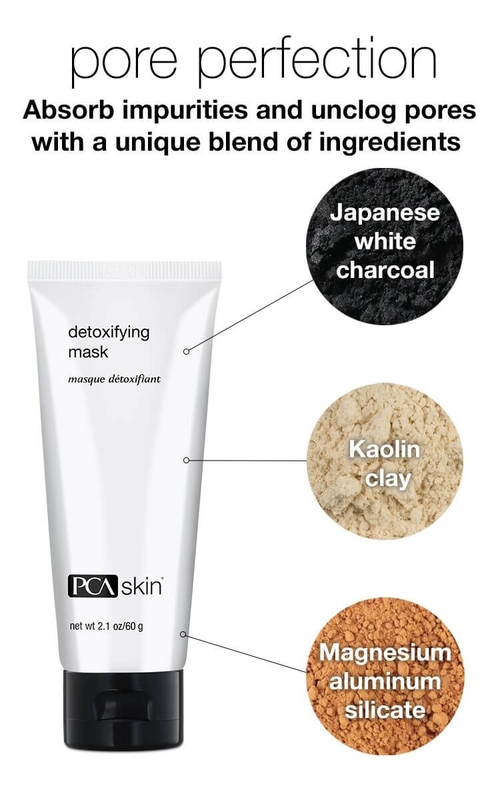 Remove mask with warm water and gentle circular motions to activate pumice for increased exfoliation. Pat dry and follow with the appropriate moisturiser in the evening. Use once a week or as needed. Water/Aqua/Eau, Kaolin, Charcoal Powder, Glycerin, Magnesium Aluminum Silicate, Phenoxyethanol, Xanthan Gum, Citric Acid, Disodium EDTA, Ethylhexylglycerin.